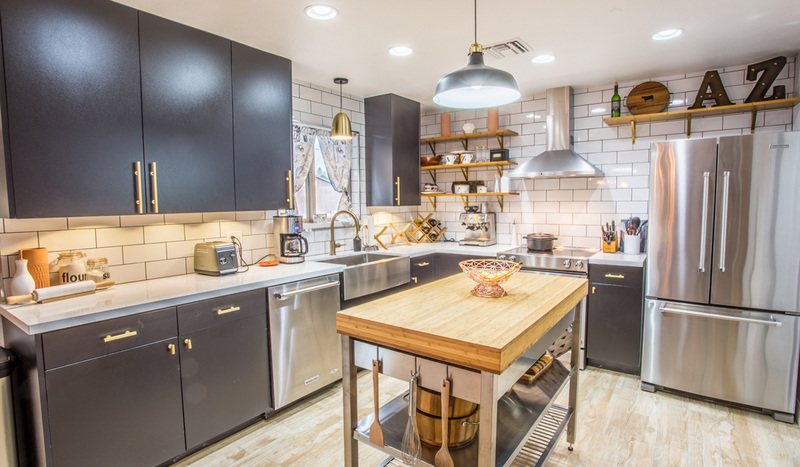 Our client wanted to modernize not just the look and feel of their kitchen, but the overall usability. 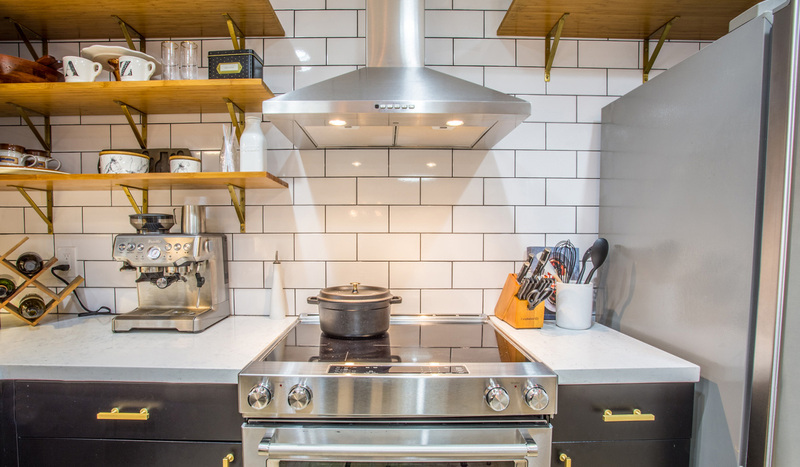 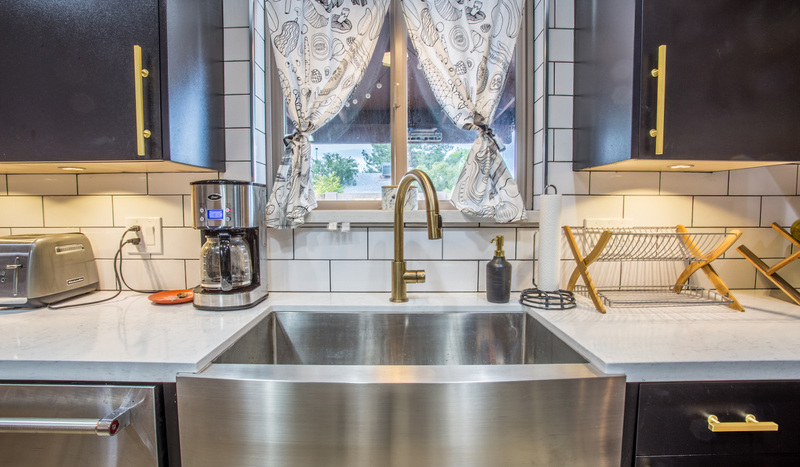 To satisfy their wants and needs, we installed brushed brass finishes throughout the kitchen, including a new faucet and new cabinet hardware to match. 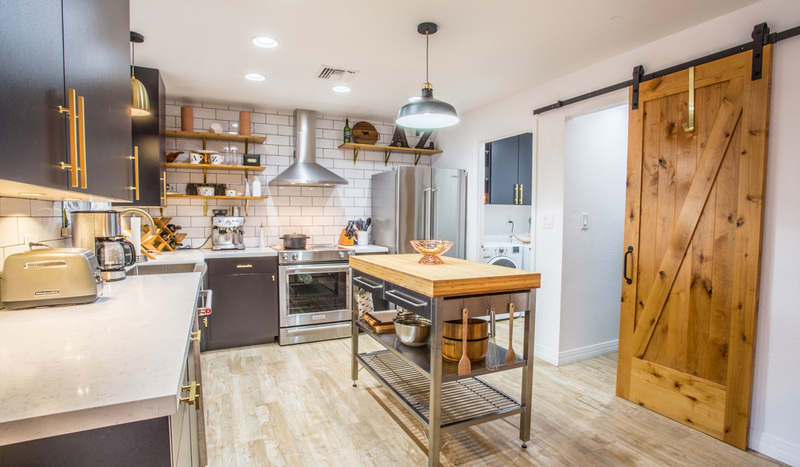 Further, we gave one wall open shelving to better fit their needs of easy accessibility. 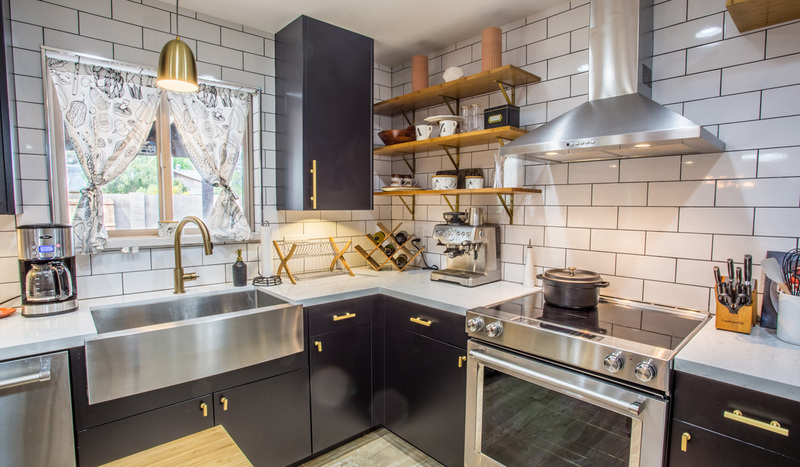 New, black cabinets and gorgeous white subway tile backsplash tie the entire look together with ease.